Caring Cats – Kindness Around Town – Board Game is a super fun, super cutesy board game which helps children learn about caring for others – in a non preachy way! 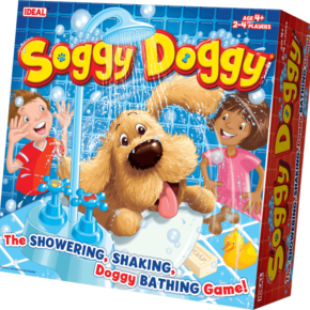 The publisher of this product is award winning Board Games publisher Chalk and Chuckles. 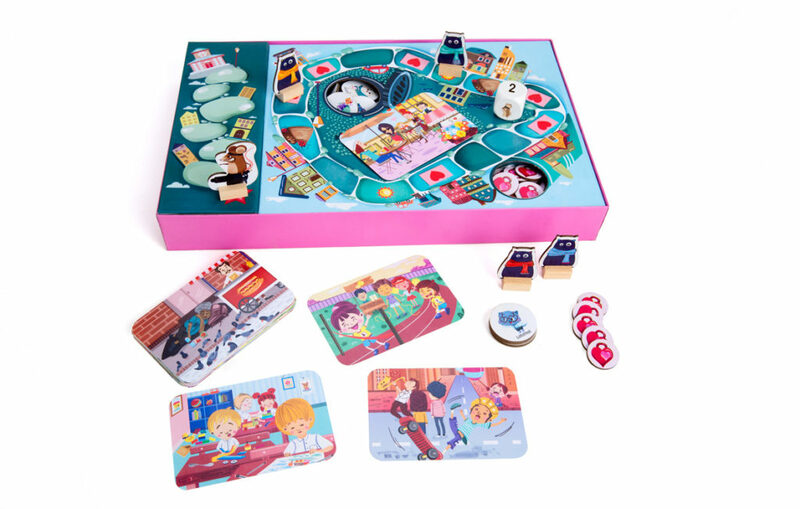 The game comes with the board (built into the box), ..
Caring Cats – Kindness Around Town – Board Game is a super fun, super cutesy board game which helps children learn about caring for others – in a non preachy way! The publisher of this product is award winning Board Games publisher Chalk and Chuckles. The game comes with the board (built into the box), 4 x Caring Cat movers, 1 x Mean Mouse mover, 20 x Caring Cat tokens, 20 x Heart Charms, 30 x cards, 1 x wooden die and of course instructions to learn how to play! We really liked the game pieces – they are really nice (high quality). So many board games nowadays are super flimsy, but the Caring Cats – Kindness Around Town – board game is clearly built to last! The gameplay itself is relatively simple and easy to learn but also quite compelling. There are 2 gameplay versions described in the instructions, one is a little simpler for younger children, and the other has a nice mechanism where the ‘Mean Mouse’ is racing to reach the School of Pawsitivity before the players can collect 5 Charms. WHO’S IT FOR: The box states ages of 6 and upwards. We generally agree with this, although some 5 year olds could probably play with parental help. THE TOY VERDICT: We found the Caring Cats – Kindness Around Town – Board game to be fun to play, adorable in terms of design of the elements of the game and at the same time to positively enhance caring and empathy in children without being overly ‘in your face’ about the developmental benefits.